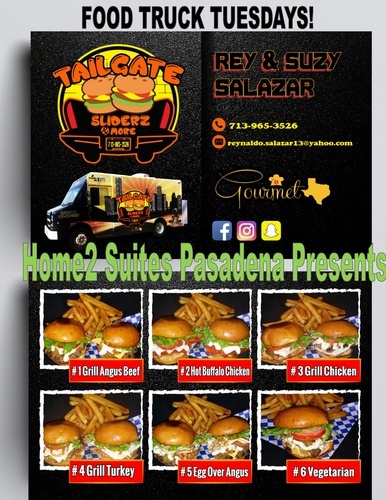 Join Home2 Suites as they host Tailgate Sliderz in their parking lot for their first Food Truck Tuesday. Tailgate Sliderz will be serving up Houstons best burger combos to guests and the general public. Bring a cocktail down from your room and enjoy some dinner while socializing around our fire pit!